A collection of the papers and correspondence of Albert Freedman (1916-2004), physicist. Albert Freedman was born in London in 1916 and educated in Switzerland, London and Portsmouth. In 1940 he joined the Underwater Detection Establishment (which later became the Admiralty Underwater Weapons Establishment) where he stayed until his retirement in 1977. During 1964/1965 Freedman worked as an exchange scientist at the US Navy Electronics Laboratory in San Diego, California, USA. He was appointed AUWE Principal Scientific Officer in 1966. His work included the design of electro-mechanical equipment, theoretical acoustic research, the development of shock and vibration protection and methods of echo and reverberation measurement. During the later part of his career Freedman was also involved in setting up and directing several post-doctoral research fellowships at UK universities. 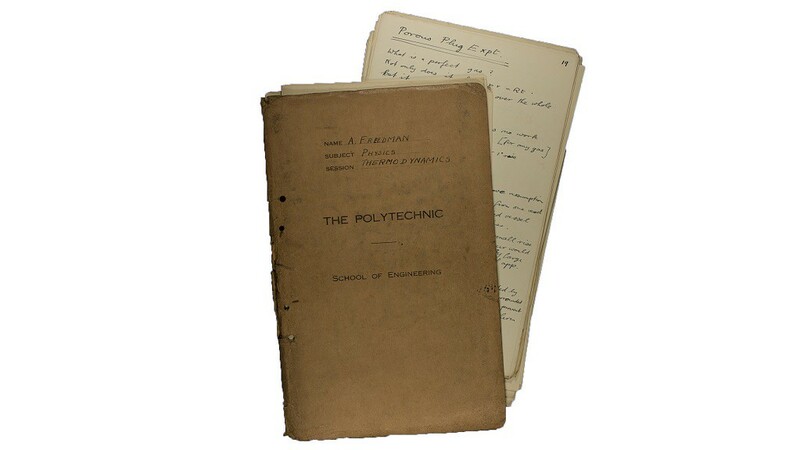 The collection contains material relating to various aspects of Albert Freedman's career including his work at AUWE, Portland, Dorset, his published papers and his research in the field of underwater acoustics. The collection was donated to the University of Bath by the Freedman family in three consignments between July 2003 and July 2004. A paper catalogue (ref. 137/2/05), prepared in collaboration with the National Cataloguing Unit for the Archives of Contemporary Scientists (NCUACS), providing contents details of the Freedman Collection is available in PDF format. Size: 35 boxes, c 636 items.